A qualitative risk assessment was undertaken to analyse the likelihood of the incursion of selected exotic infectious disease into deer populations in GB and the potential impacts these animals could have on effective disease control. In order to identify the exposure pathways, it was necessary to consider not only the epidemiology of the pathogens but also to understand the impact of the ecology and behaviour of wild deer on disease transmission. It was concluded that the greatest risk of exotic disease incursion into wild deer in GB was disease incursions occurring in domestic ruminants first then transmitting to wild deer. 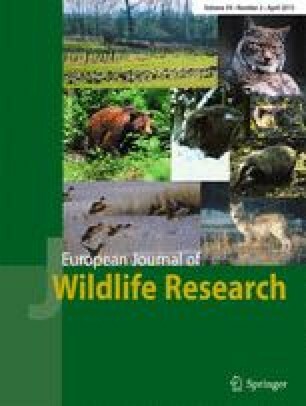 The qualitative risk assessment considered geographic spread and habitats of wild deer and the susceptibility of wild deer to notifiable exotic diseases of domestic ruminants. Data of some diseases in some deer species is limited and the overall assessment of impact varied between diseases and deer species. Red deer pose the highest risk of the species reviewed. The overall risk assessment of low is primarily influenced by the low risk of incursion of exotic diseases generally into the UK.